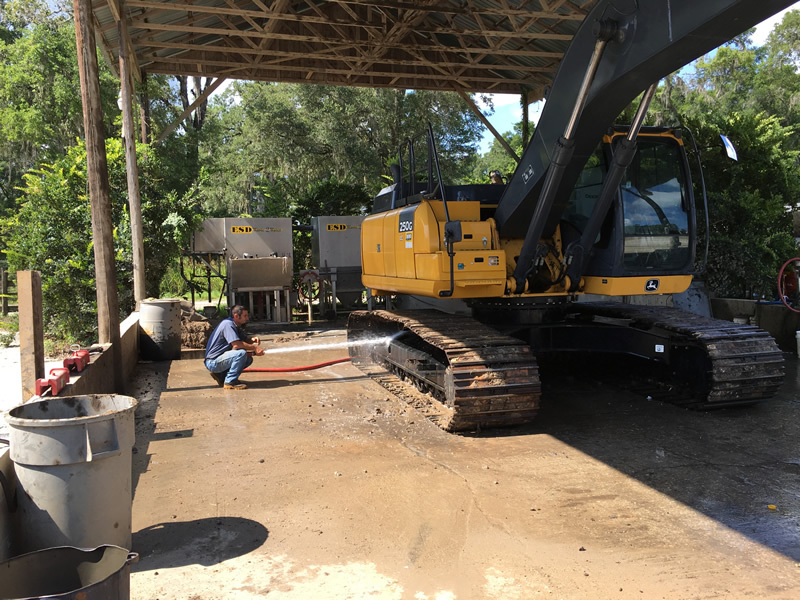 Located in Central Florida, ESD Waste2Water, Inc. is a worldwide leader in industrial wastewater treatment and environmental remediation equipment. We design, manufacture, install and service environmental protection systems for clients across the United States, Canada, Europe, South America and Australia. ESD Waste2Water leads the industry with cutting edge technology and clever, low maintenance designs, backed by superior customer service. Our Waste Water Systems and Waste Water Recycling service team is ready to help. Installation and Service With a talented service team that is second to none, ESD can install and service your environmental system to maximize system operation and performance. 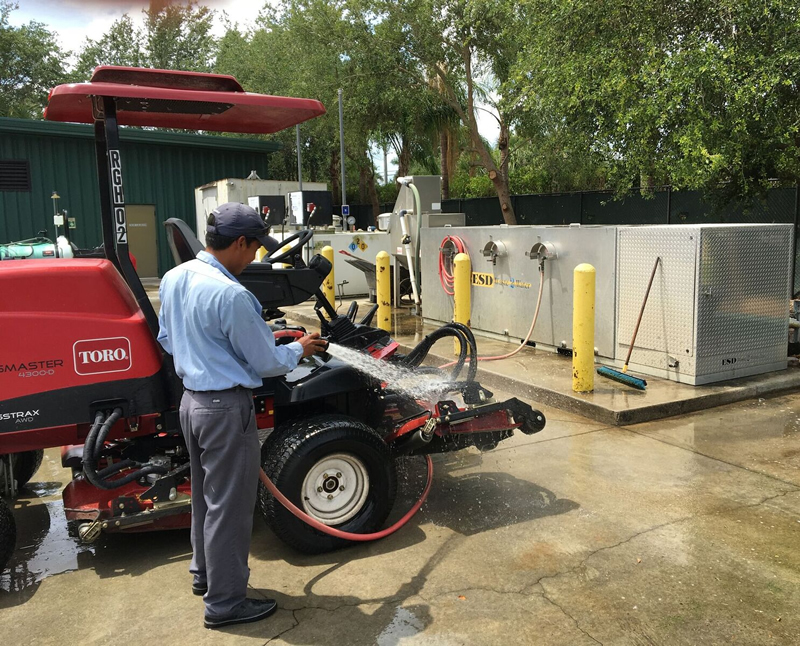 Once the ESD Waste2Water Wastewater Systems or Wastewater Recycling system is installed and operational, ESD offers a comprehensive preventative maintenance program that includes a monthly visit by an ESD technician. The technician performs complete routine maintenance on the ESD equipment in order to keep it operating at peak performance. Any items needing attention are taken care of at that time. For operations that prefer to do their own maintenance, ESD offers technical product support over the phone, and can arrange to have a technician on-site, if needed. Design Expertise Before being manufactured, every item, subassembly, system or component is designed by CAD technicians in our Engineering Department. 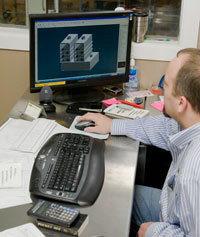 Skill and years of experience ensure optimal designs for the respective applications. ESD offers free on-site wash and Wastewater Recycling area evaluations with custom designs to fit your needs. The custom designs are followed up with detailed computer drawings, as needed. The drawings can be used for getting accurate quotes from local contractors, and may be used for simple wastewater construction projects. ESD can also supply detailed drawings in a format that can be uploaded by your architect or engineer. The drawings include cement specifications, electrical and plumbing requirements, water treatment specifications, wastewater recycling equipment specifications, and detailed wash area recycling sump designs. 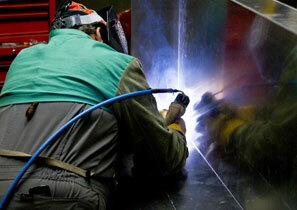 The manufacturing of Waste Water Systems and Waste Water Recycling Equipment is performed by top skilled welders and machinest who work in their individual stations and welding-bays to hand-weld custom metal subassemblies. 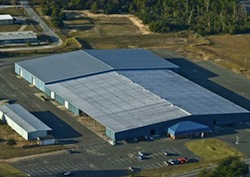 ESD has a fully-equipped wastewater recycling manufacturing facility located in Ocala, Florida. 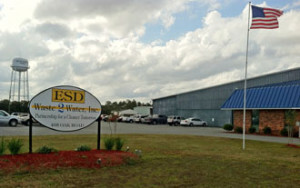 ESD specializes in the design and manufacture of water treatment equipment. Control panels for the equipment are designed by our UL-certified manufacturing line and are listed with UL. Virtually every water treatment system built has customized features. Our manufacturing team reviews each drawing and builds to the exact specification with quality components and excellent workmanship. 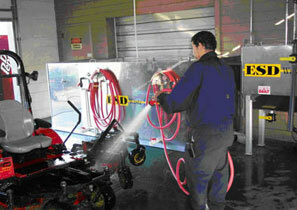 Design and installation of all wash areas is part of our specialities. We arrive on site to lay out your wash water plans, and design your station free of charge. We also bring our own crews on site to build the station. 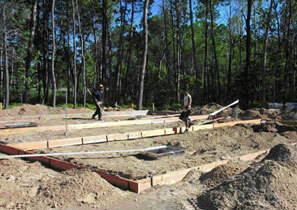 We offer Waste Water Systems and Waste Water Recycling Construction in many US and European locations. 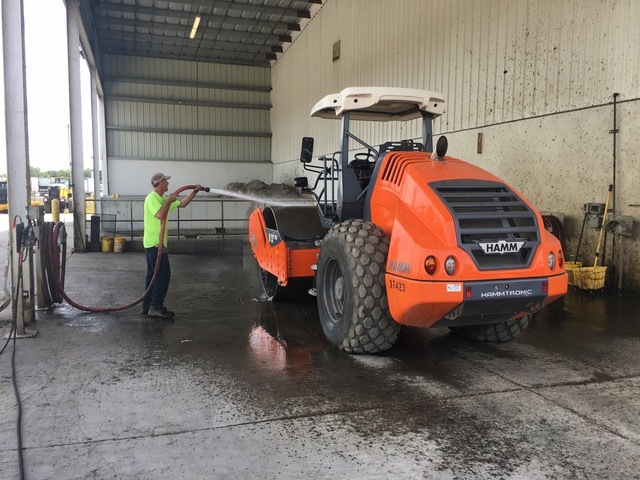 ESD has expert wastewater recycling construction crews that will construct your wash pad to fit your recycling application and specific needs. If you would like to use local construction contractors, ESD also has the capability to consult with the local contractors of your choosing to help ensure a successful construction project. Either way, we are committed to doing what we can to ensure a successful completed recycling project. Waste Water Systems and Waste Water Recycling Installation and On-Site Training. Every ESD wastewater recycling treatment system is installed by a factory technician with the skills to ensure that the system gets installed correctly. 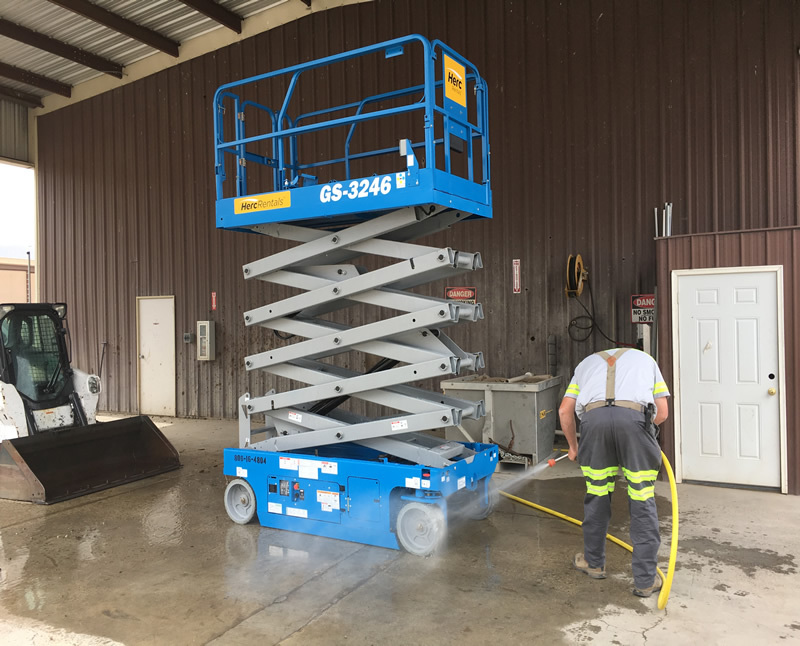 Before the technician leaves, the system is installed and is fully operational, and your personnel are given instruction on the equipment operation and some basic maintenance items. Our job is not done until you are washing and your people feel comfortable with their knowledge of the system operation.